“It’s probably the catchiest chorus I’ve written to date, and it’s become a crowd favourite at gigs,” says singer/songwriter James Holt of his new single ‘Come Out to Play’. ‘Come Out to Play’ bridges the gap between his previous two singles, combining the pad soundscape of ‘Whispers’ with the angular unpredictability of ‘Alone Again’ but with a far more upbeat musical and lyrical theme. The song draws inspiration from the classic songwriters of the 60/70s and also nods to Crowded House, Aztec Camera and The Smiths. One review commented that it sounded like Johnny Marr had joined the Beatles and the Beach Boys in the studio for a day. James said, “Lyrically, the song is a journey through the life of a shy, introverted person, and their struggle to socialise – though at its core it’s an uplifting story about overcoming anxieties. There’s never an explicit reason why, but there are hints that they’re hoping for something more. (‘But I just keep holding on, for a day to reminisce on…’). James provides lead vocals, backing vocals and plays all instruments apart from drums on ‘Come Out To Play’ and has – once again – brought in the production wizardry of Jim Spencer (Johnny Marr, The Charlatans). 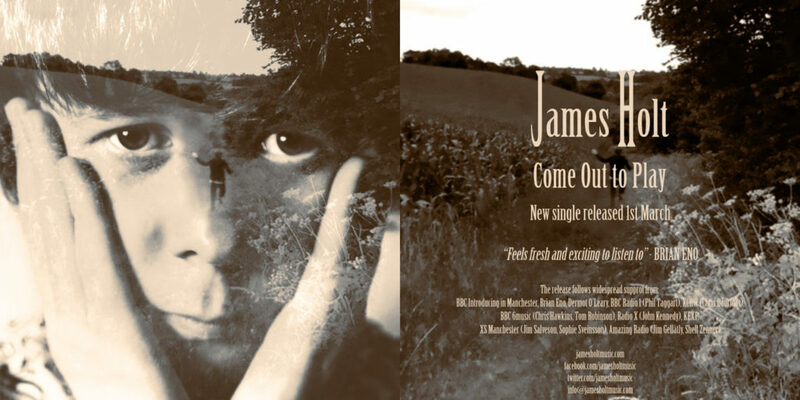 The release coincides with James’ headline show at Night People, Manchester on Saturday 1 March and then on Saturday 23 March at Academy 2, Manchester (supporting Prose and Manchester Camerata). “Very talented, very wonderful – absolutely love his voice.” Natalie BBC Introducing Manchester. 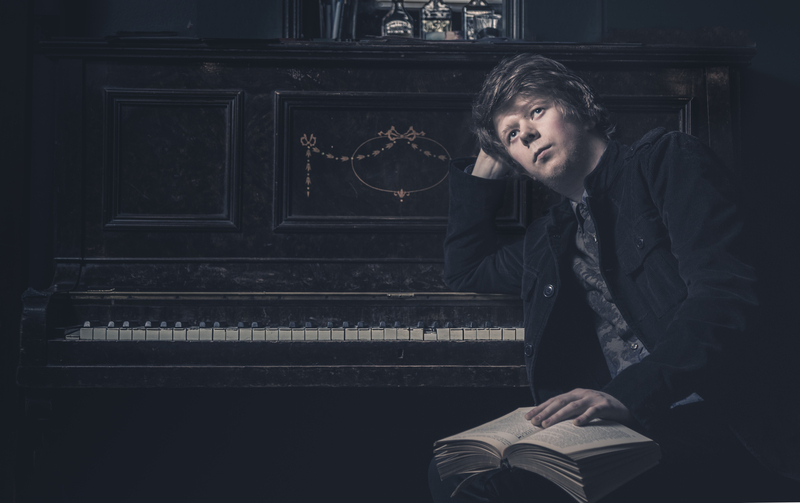 “With an arresting voice that is reminiscent of John Lennon or early Bob Dylan, wily lyrics and an upbeat weave of rock, prog and blues, it’s obvious to see why his remarkable music is turning heads.” Louise Dodgson, The Unsigned Guide. Music legend, Brian Eno – who has long championed James – invited the young luminary to meet him at his John Peel Lecture for BBC Radio 6 Music. The former Roxy Music keyboard player, record producer and revered ambient pioneer also chose James’s song to use as part of an arts festival last year. James – who graduated with a BA Music 1st class honours and MA in Music Composition (distinction) provides lead vocals, backing vocals and plays all instruments on the track, highlighting his immense talent as a musician and his resilience in the face of adversity. ‘Whatever Happened to John?’ follows several well-received releases from James, including his critically acclaimed second EP ‘Sanguine On the Rocks’, and ‘Butterfly’- a charity single for the Royal Manchester Children’s Hospital Charity, which has raised over £1100. James performed the single at the Royal Albert Hall for the Music for Youth Proms. James continues to gain exposure, with a number of industry insiders tipping the young troubadour for great things. Watch this space.